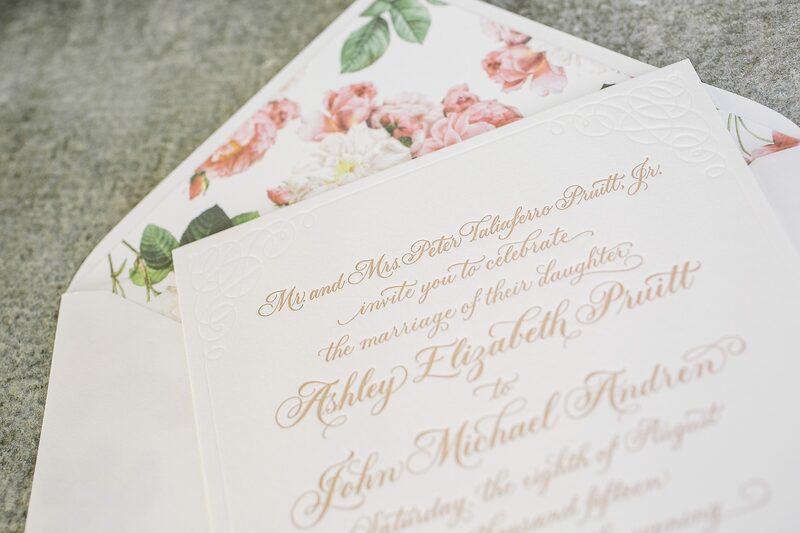 Ashley and John sent their guests these romantic calligraphy wedding invitations welcoming them to their Maryland wedding this past summer. 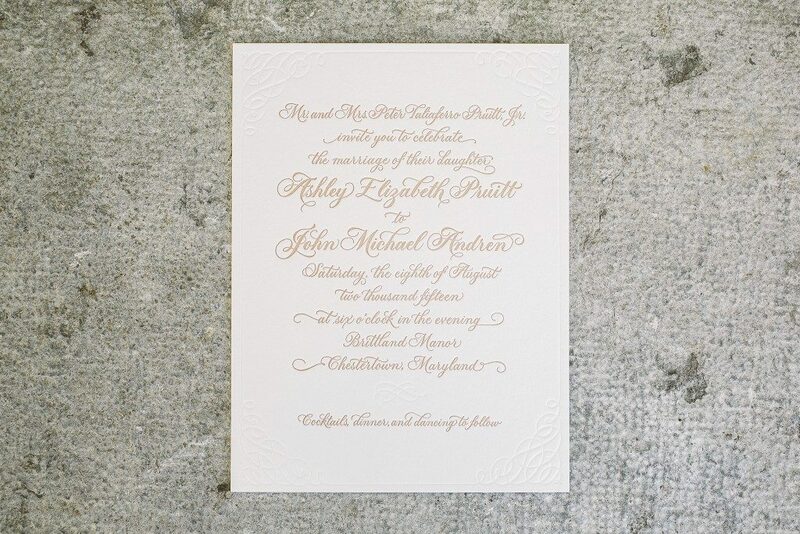 Sarah Hanna’s Honoured style hand calligraphy is especially formal in this vertical orientation, and the blind debossed border (from our collection) is a charming addition. 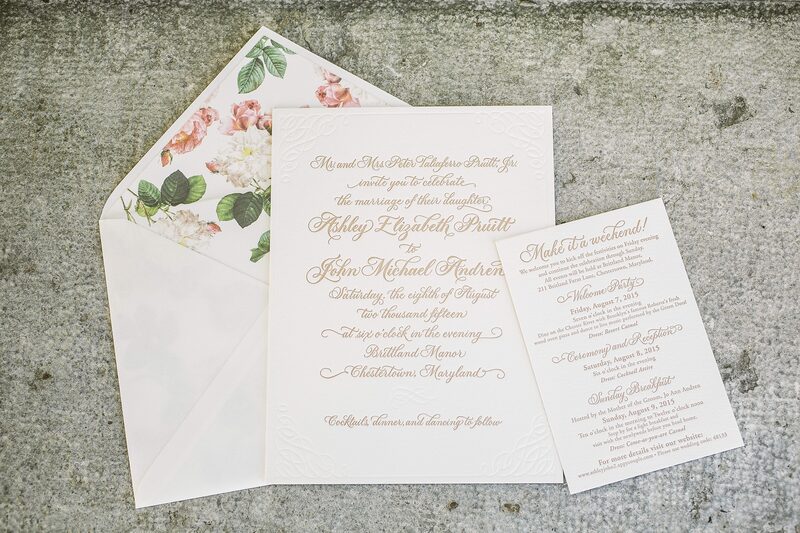 A vintage print envelope liner and pointed flap envelope added to the sweet elegance of this lovely set.